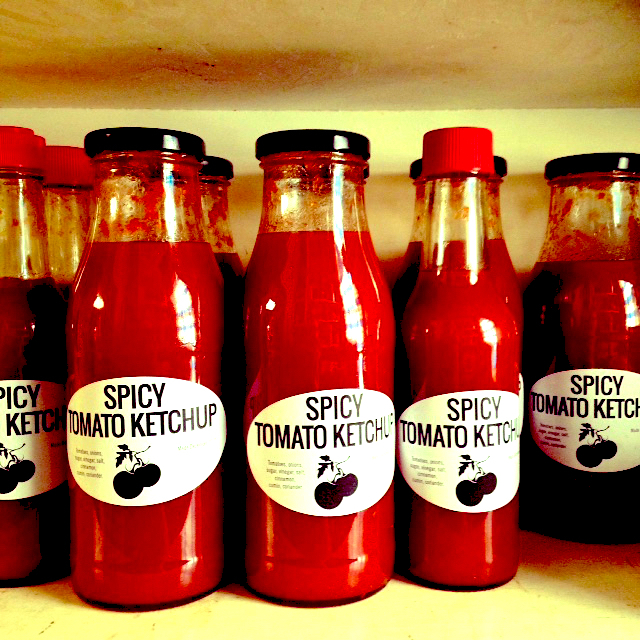 This recipe for spicy tomato sauce comes from my Tasmanian sister-in-law Jane. Like a lot Tasmanians, Jane is a stand out jam maker and preserver of seasonal bounty. We had a family Christmas in Tasmania a couple of years ago and this spicy tomato sauce and Sally Wise’s awesome plum Worcestershire sauce were the biggest culinary hits of the holidays. Usually at this time of year I’m busy slaving over a hot oven baking a range of biscuits and cookies as Christmas gifts, but this year I decided to nix the big cookie bake-off in favor bottles of homemade lime cordial and this spicy sauce. There’s a lot to be said in favour of cancelling Christmas baking. Although I try to stagger the making of the cookie dough and the baking, in the heat and humidity of December in Sydney, baking is always a trial and tribulation. Making cordial and a big pot of sauce ( I quadrupled this recipe) is a breeze by comparison. I also managed to source great early season tomatoes from the bargain bin at Frank’s in Haberfield – whatever the season Frank’s has the best tomatoes in Sydney. 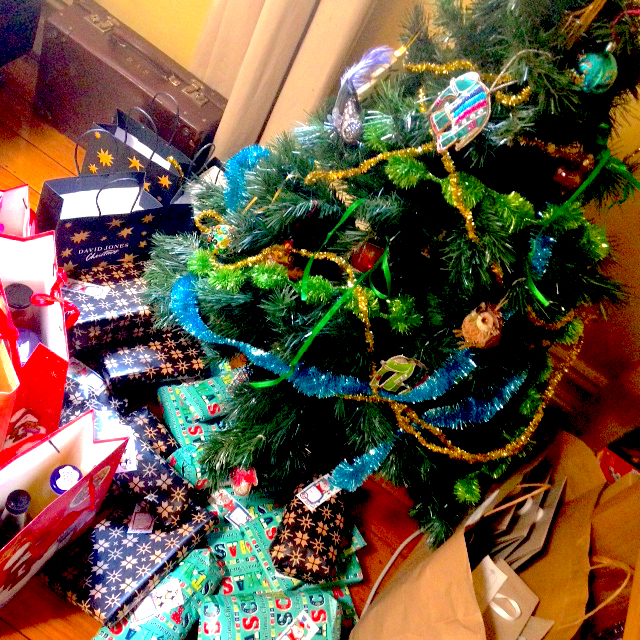 I’m going down to Melbourne for the week before Christmas so I feel super prepared – presents are wrapped, ketchup and cordial are made, Christmas cards are posted – I am done! Combine tomatoes, onions, chillies, sugar, vinegar, salt and spices in large saucepan. Simmer gently for about one and half hours until mixture is quite thick and the colour has deepened. Push sauce through a sieve or mouli. (you need to take out the seeds and skin otherwise the sauce will be slightly bitter) Return sauce to a clean saucepan and cook gently until sauce reaches desired consistency. It should have a good thick, pouring consistency. Remember it will thicken up as it cools. Pour into *sterilized jars or bottles and seal. Let rest mellow for a week or two in bottle before using. The chilli heat will dissipate slightly the over time. *I sterilize my bottles by washing them well and heating them in 120C oven for 20 minutes and boil the caps and lids in water for 10 minutes.